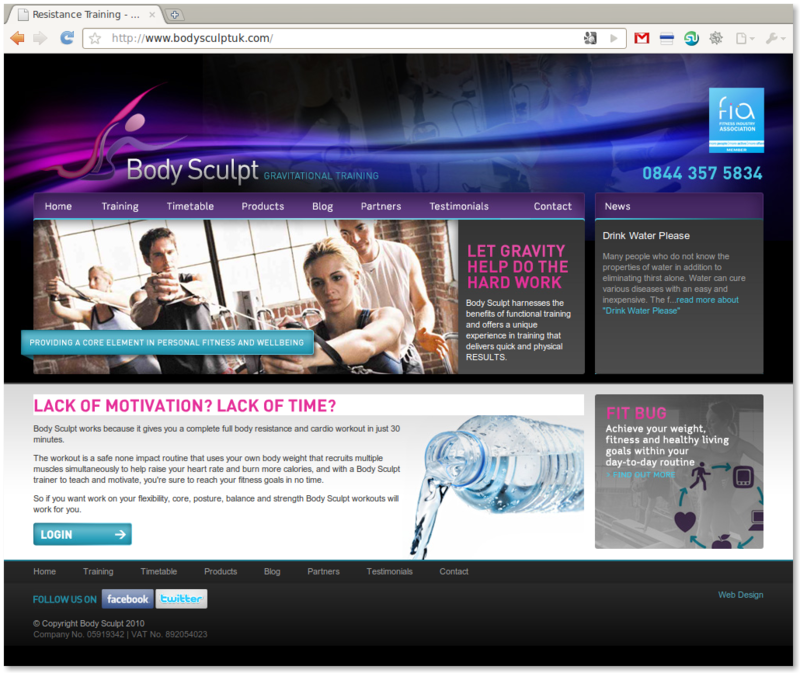 Rapid Web Services is pleased to announce the recent redesign of a long term client’s website, Body Sculpt UK. The new web design of Body Sculpt UK features an entirely custom web design, templating and integration into both existing and brand new textual content. The new website design also features the use of a dynamic blog system to go alongside the static content of the main site. Links also exist to various social networking and social media websites such as Facebook and Twitter allowing easy promotion of the the Body Sculpt brand. Body Sculpt UK have been working with us at Rapid Web Services for several years now, and we are delighted to see them continue to work with us into the new development of their brand and website. If you’re interested in getting a new web design for your website, feel free to give us a call on 01785 250222 or contact us directly.